Edward G. Willer, who joined Corboy & Demetrio as an associate in 1994 after having practiced with the preeminent law firm of Leonard M. Ring & Associates, has devoted his career to representing plaintiffs in serious personal injury and wrongful death cases in areas of product liability, construction negligence, premises liability and vehicular negligence. His litigation in products liability has extended into the international arena, including actions against German, Canadian, Japanese and other Asian manufacturers. Ed’s skills as a trial lawyer, his work ethic and his perseverance on behalf of our clients exemplify the firm’s mission to provide the highest quality legal services to those most in need. In 2014 alone, Ed obtained settlements and verdicts of more than $24 million. He has successfully argued before the Illinois Supreme and Appellate Courts. Since 2012, Ed has served on the Illinois Supreme Court Committee on Character and Fitness. 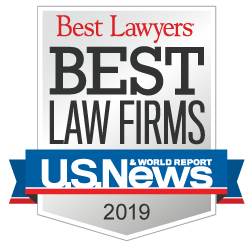 Ed has been designated an Illinois Super Lawyer since 2013 and is a member of the Leading Lawyers Network, a distinction earned by fewer than 5% of all lawyers in Illinois. Ed is an active member of numerous legal organizations, including the American Association for Justice, serving on its Stalwarts Committee and Hall of Fame Committee; the American Bar Association; the Illinois Trial Lawyers Association; the Chicago Bar Association, having chaired the Circuit Court Committee; and the Illinois State Bar Association. He is also a member of the Society of Trial Lawyers and the U.S. Supreme Court Historical Society. Ed graduated from DePaul University, receiving a B.A. as well as a J.D. from its College of Law. He argued on its International Moot Court Team and was a member of the DePaul Law Review. We warmly welcome Ed as our partner.